A budding medic who received three offers to study Medicine at prestigious Universities has now confirmed he will be heading to the University of Cambridge to prepare for his future career. 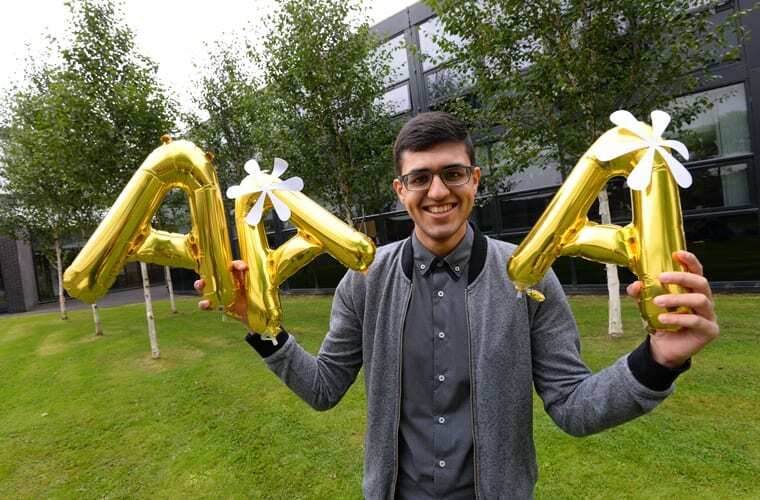 Former Pendle Vale College student Dawud Afzal secured the coveted place at the Oxbridge University after achieving A*A*A in his A Level exams for Biology, Maths, and Chemistry. For Dawud, who was also offered places to read Medicine at the University of Manchester and the University of Leeds, the A Level results celebrations were made even more special since it was his 18th birthday. The outstanding student, who also completed NCC’s Pre-Professional Programme in Medicine, said: “It was the best birthday present I could have got – there are no words to describe how I’m feeling. I am one of the first in my family to go to University, and it really is a shock to the system to be going to Cambridge. “I was meant to take a gap year, but they have given me a 2016 offer, so it has been perfect. I really enjoyed the atmosphere of results day, celebrating with people I have spent every day with for the past two years. As well as doing his A Levels and Pre-Professional Programme, Dawud ensured his individualised study programme was as full as possible before applying to University. He completed an Extended Project Qualification (EPQ) on Assisted Suicide, completed work experience at the Royal Blackburn Hospital, did a four week online course on cancer, and was a long-term College reading mentor. Dawud also completed a Sutton Trust Summer School at the University of Nottingham, shadowed a medical student during a competitive University of Cambridge three-day experience, and was a weekly volunteer at a rehabilitation unit.